When we join a chama for investment purposes, many of us are looking at investing for future purposes. Investing doesn’t have to be all about retirement and the remote future. Those things are important, and you should keep an eye on your eventual financial fate. But, you don’t have to place your entire focus on it. You can enjoy the fruits of investing right now, while laying the foundation for your future, by building an income portfolio. Did you know that you and your friends in the chama can invest with a goal to earn a monthly income? There are many options when it comes to this type of investing and it can be a great way to get somewhat instant gratification. Dividend shares are those that pay out a portion of company profits at regular intervals. You don’t have to sell your shares rather, the company issues you payments based on the number of shares you have. This dividend payment is similar to profit sharing, since you get a portion of what the company has made. For example if the company is paying Kshs.10 dividend per share and your chama has 10,000 shares; your chama gains Kshs.100,000 and you can divide this among the chama members. When you invest in treasury bonds you essentially lend money to the government through the Central Bank. Throughout the life of the bond, you earn interest. In many cases, the interest you earn is sent to you regularly. When the bond’s term expires, you receive the principal back. Keep in mind you can then invest in another bond if you want, and receive even more interest as income. To invest in a treasury bond you need at least Kshs.50,000 minimum and the returns are regular and handsome. You can also include loans made to others in your income portfolio. 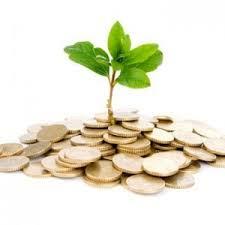 As your principal is paid back with interest, you receive regular income that you can spend, or that you can re-invest. Many investors keep the interest earned and reinvest the principal. Another more traditional way of earning a monthly income is through acquiring or putting up rental houses. Once the structures are up, you only need to source a tenant who will pay you monthly for your house. Once it is rented, the income is usually pretty passive. You get your rent each month and pay the expenses, and you don’t usually need to do much else.